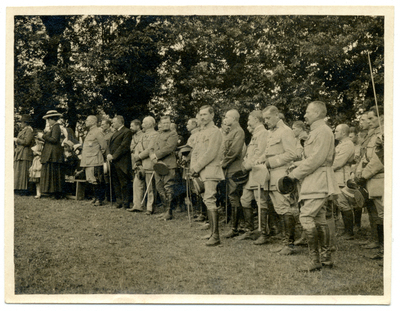 American Red Cross, Niagara Chapter, at the Polish Camp, July 27, 1918. "American Red Cross." Military & Wartime Photographs. Fronczak Collection. Archives & Special Collections Department, E. H. Butler Library, SUNY Buffalo State.